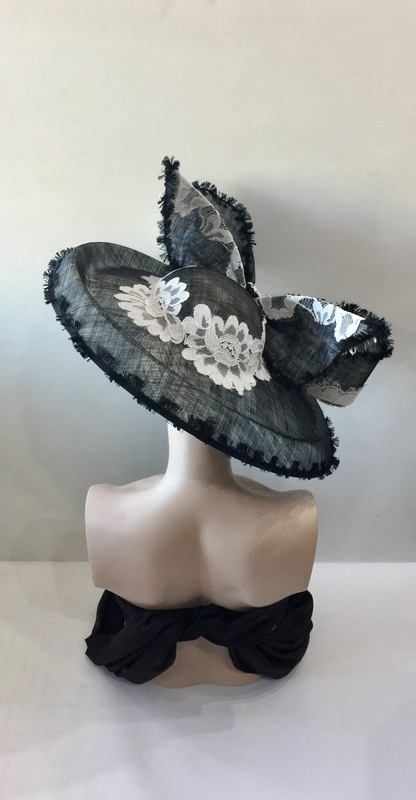 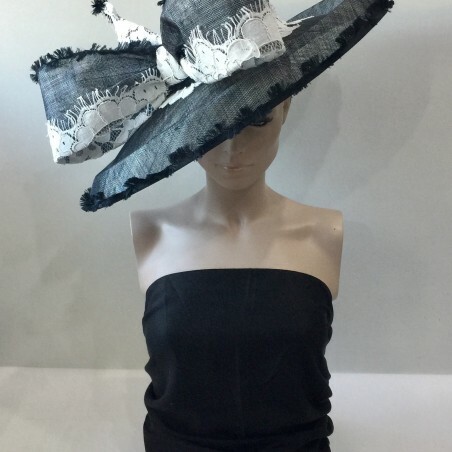 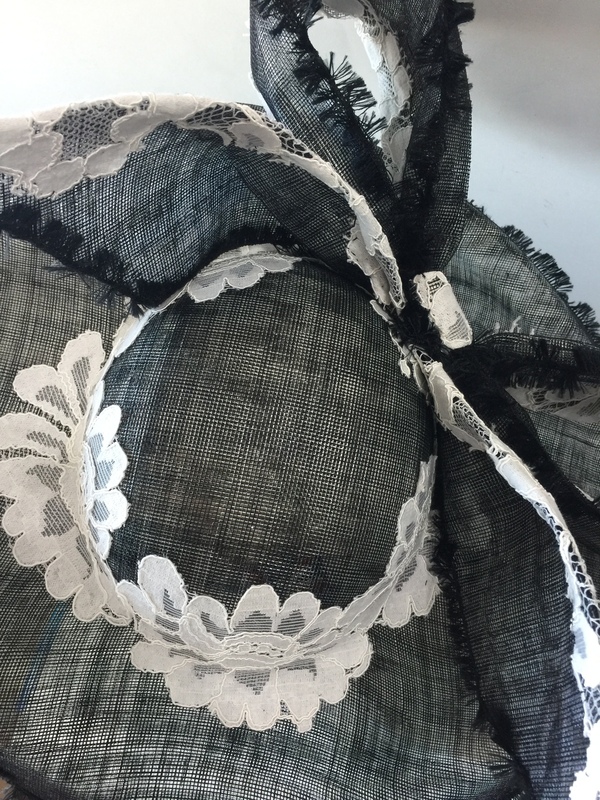 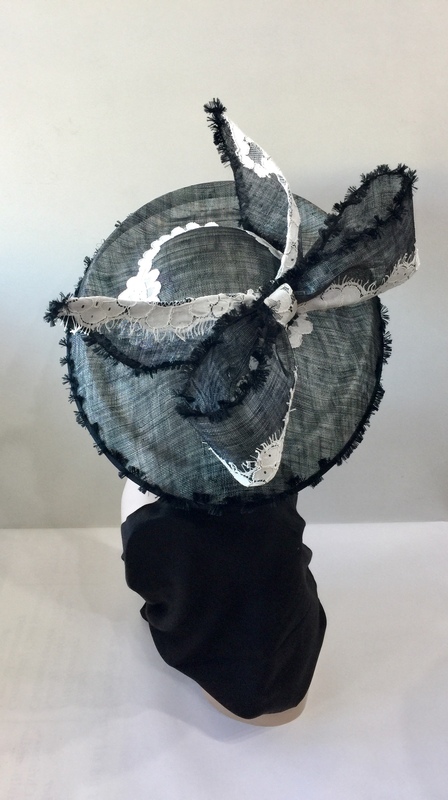 A black and white sinamay ridged down brim hat, featuring a large bow with lace and fringed trimming. 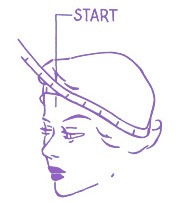 Elastic and a comb have been attached to the inner for a secure fit. 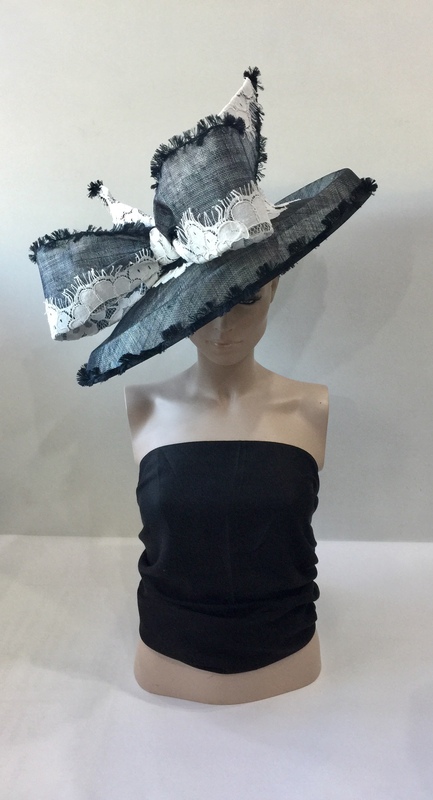 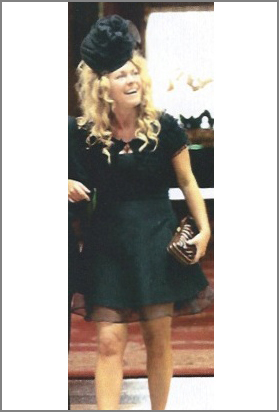 Perfect for a wedding, the races or any other special occasion.